In 1932, vocational education was first introduced to Loughrea under the guidance of County Galway Vocational Education Committee with the renting of two rooms at the Temperance Hall in Loughrea. In 1958, a new school dedicated to St.Brigid was opened in Abbey Street by the then Minister for Education, Mr.Jack Lynch, while the present school at Mount Pleasant was opened in 1983. The game of hurling is prominent in the school. 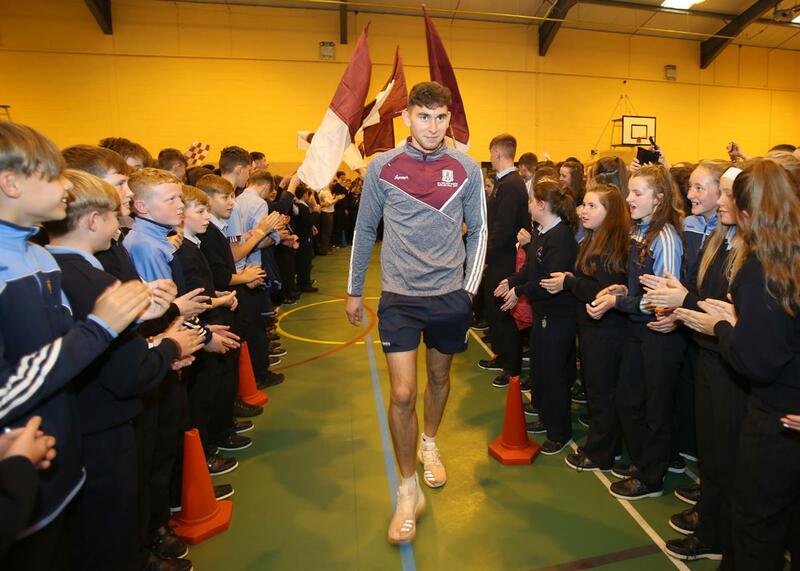 St.Brigid’s have had great success throughout many years on the hurling field with the school among the top hurling playing schools in the country. 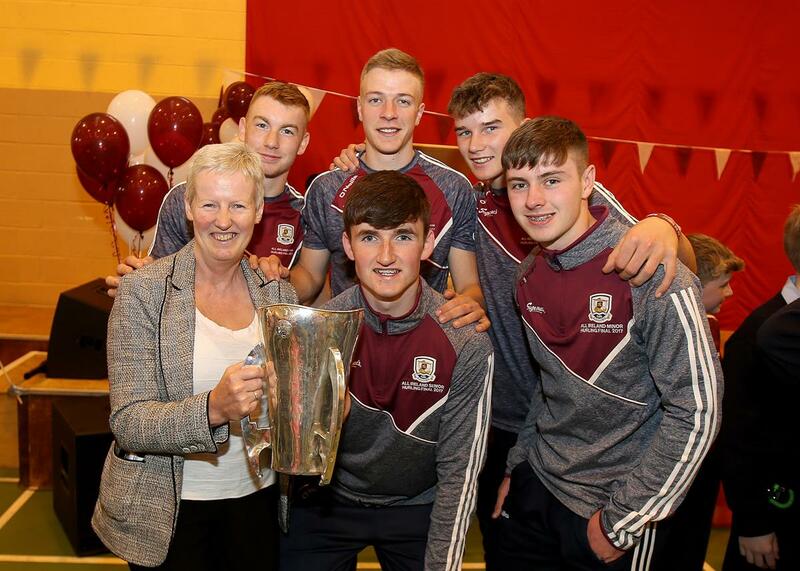 St.Brigid’s won its first Connacht Vocational Senior hurling championship in 1965 and since then have been successful in a further seventeen Connacht finals while also winning a record nine All-Ireland Vocational School’s Senior titles. 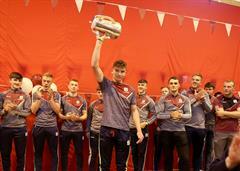 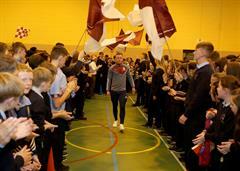 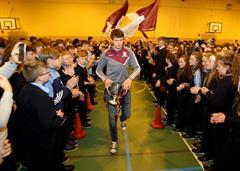 The school has also won ten Ryan Cups- Connacht Post Primary School’s Senior titles. 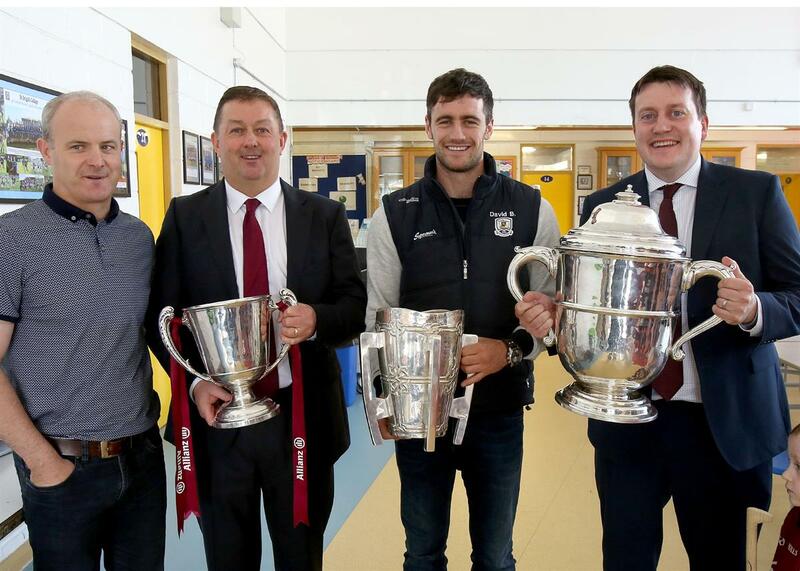 At junior level, twelve Connacht titles have been annexed with the school winning five All-Ireland junior titles in 1994, 1997, 1999, 2006 and 2011. 2011 was a special and historic year for hurling at St.Brigid’s with the school winning both the Senior and Junior All-Ireland titles thus becoming the first school to achieve this unique double in the one year. 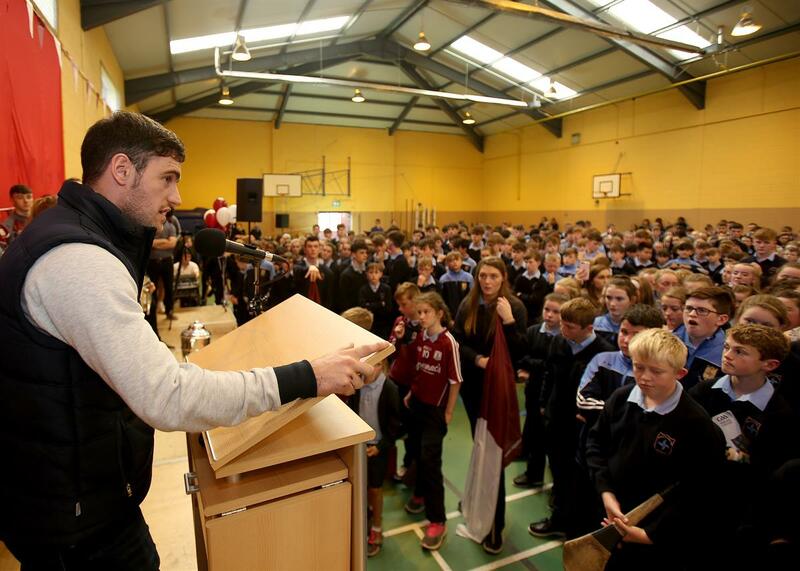 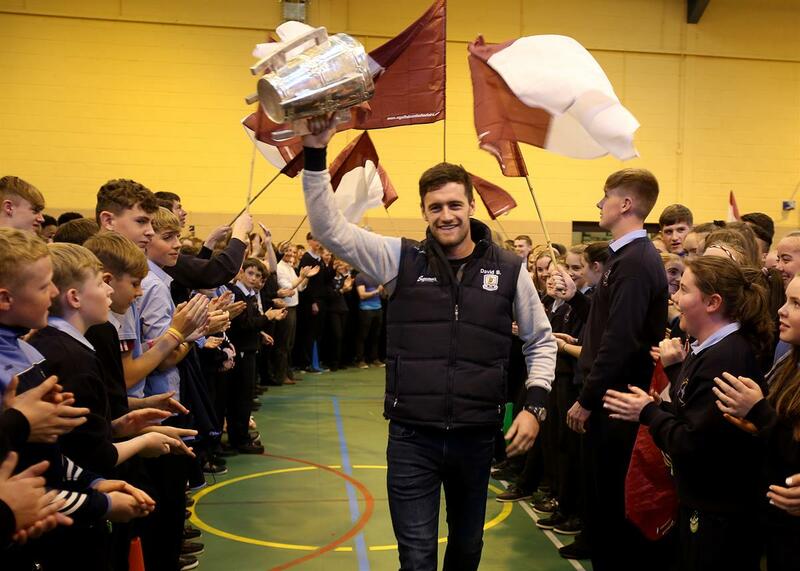 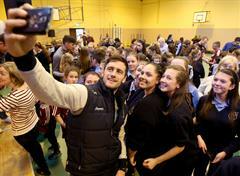 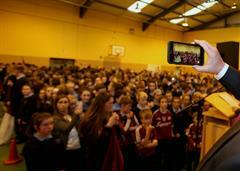 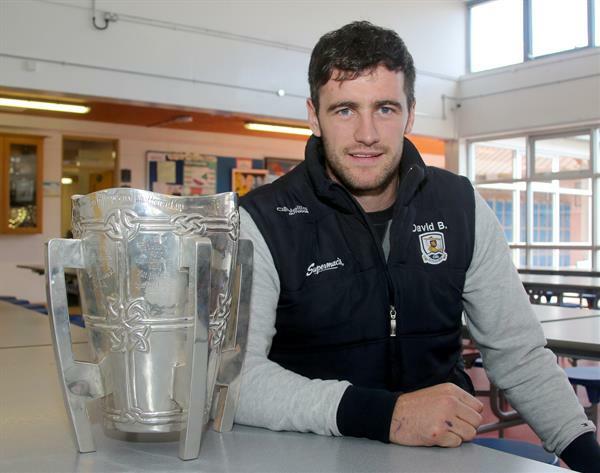 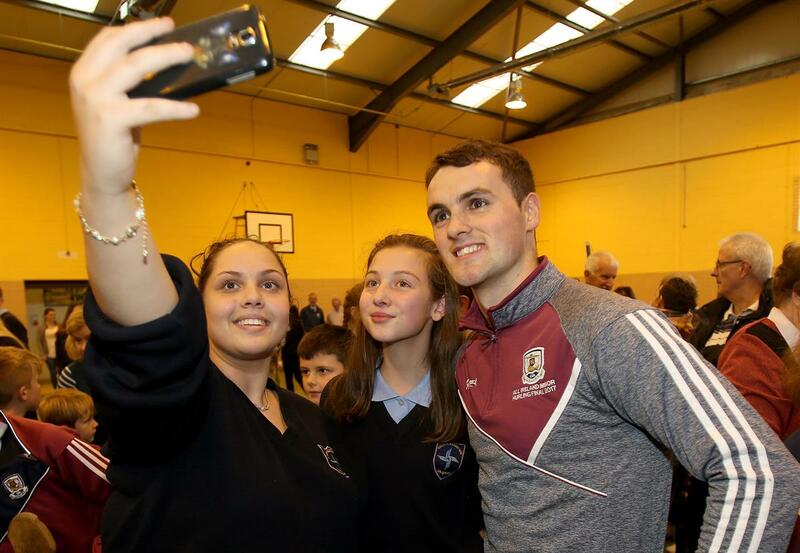 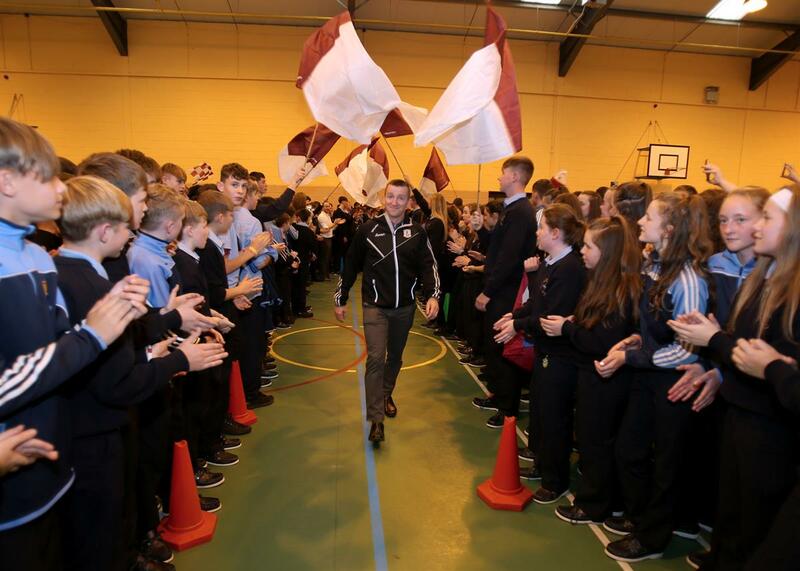 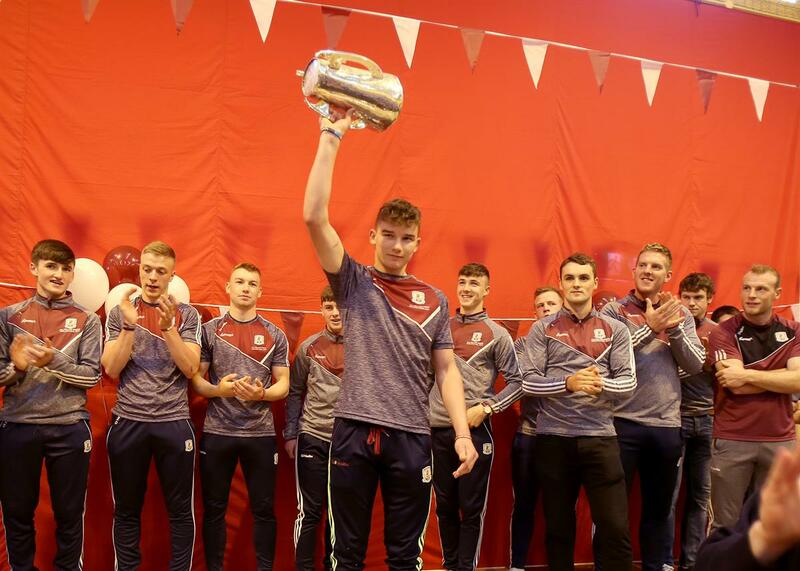 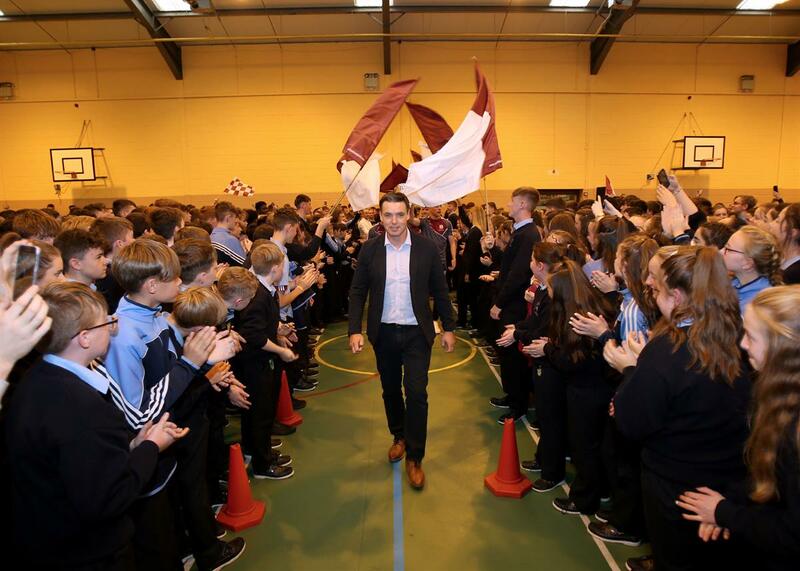 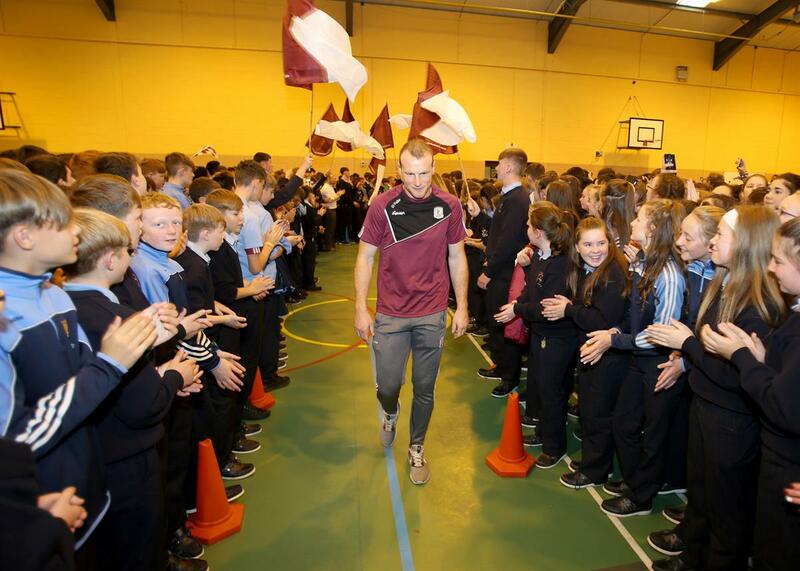 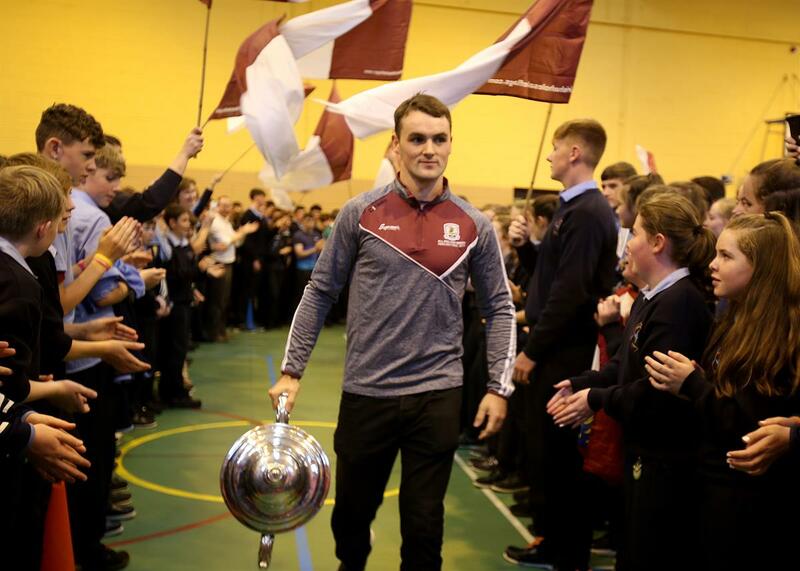 What a truly unique moment at St Brigid's College Loughrea on Friday 8th September, when the Pupils & Staff welcomed home their All Ireland Winning Players and Teachers who were part of that historic day in Croke Park last Sunday 3rd September. 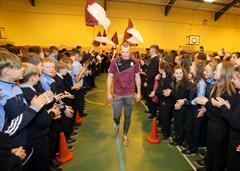 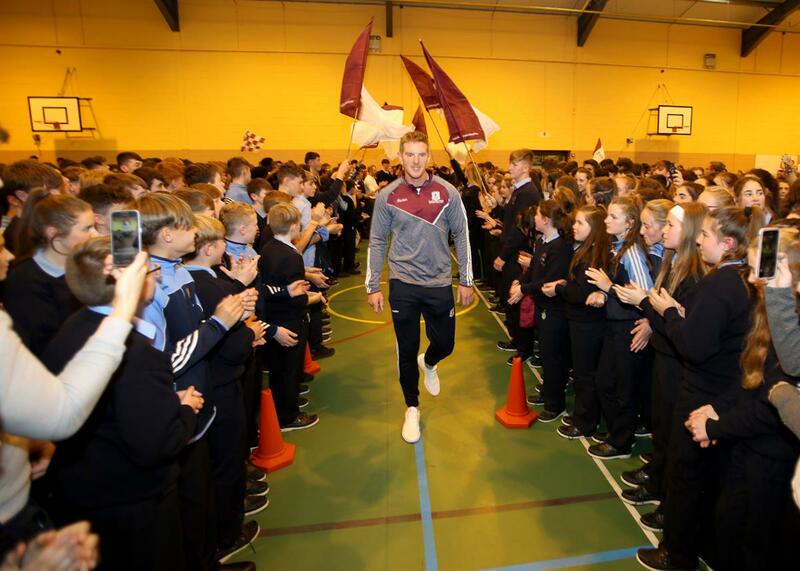 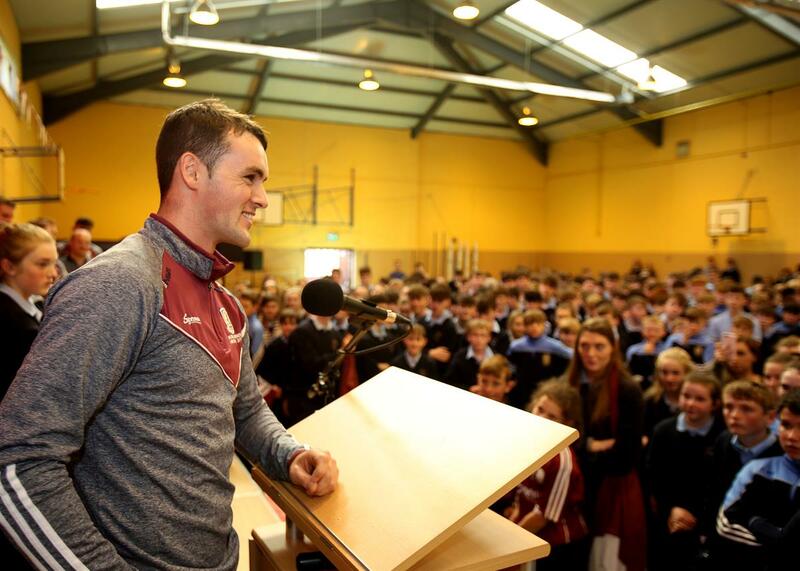 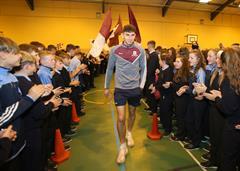 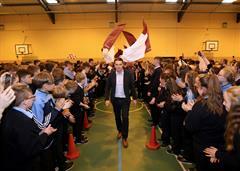 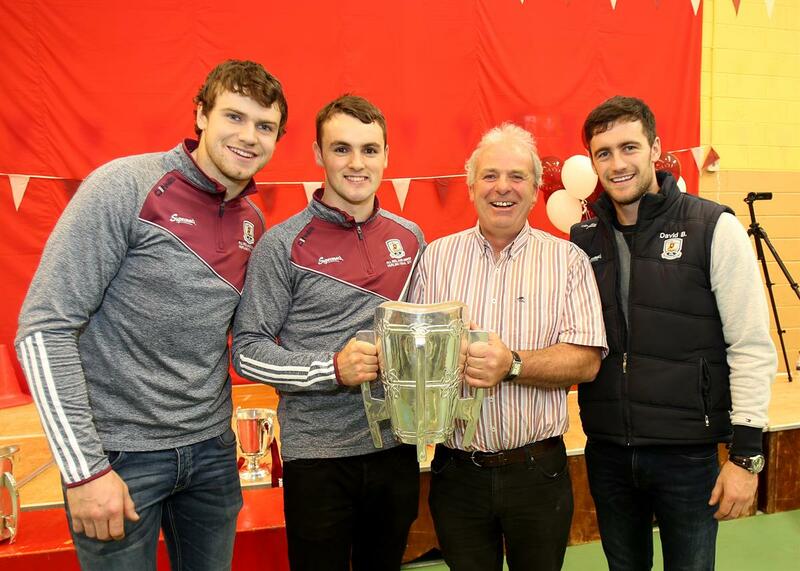 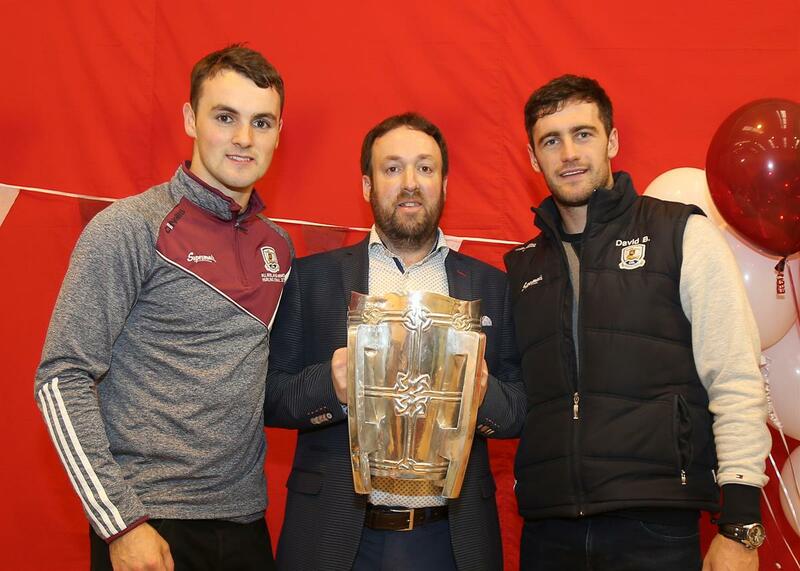 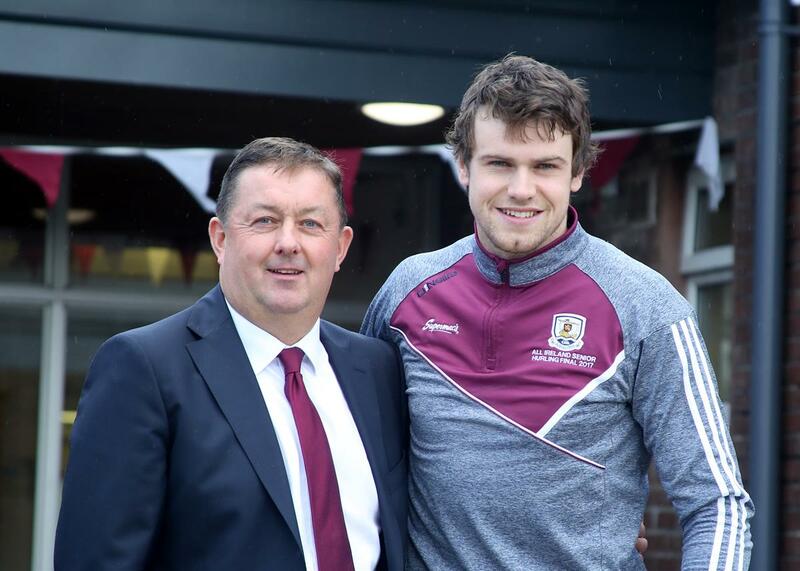 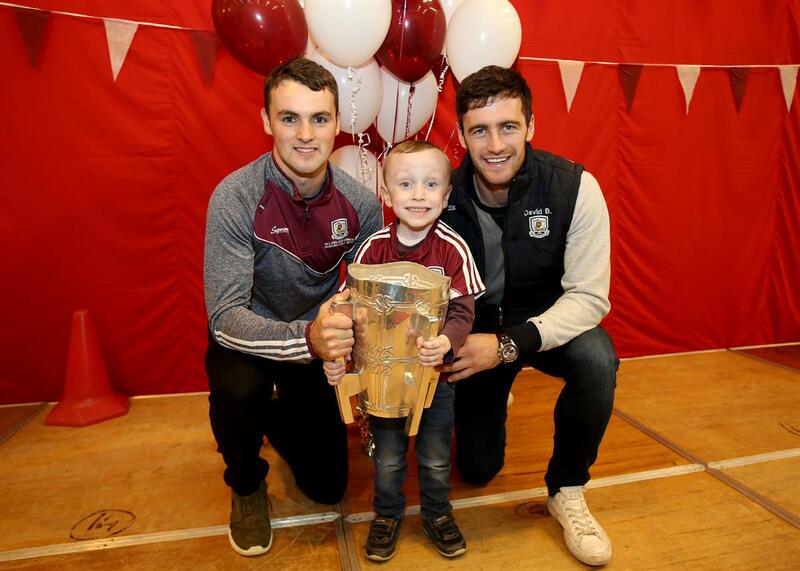 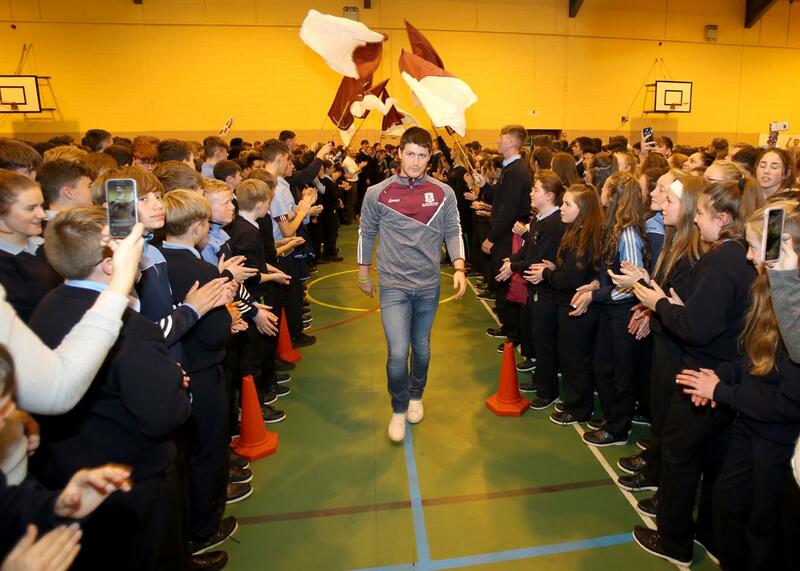 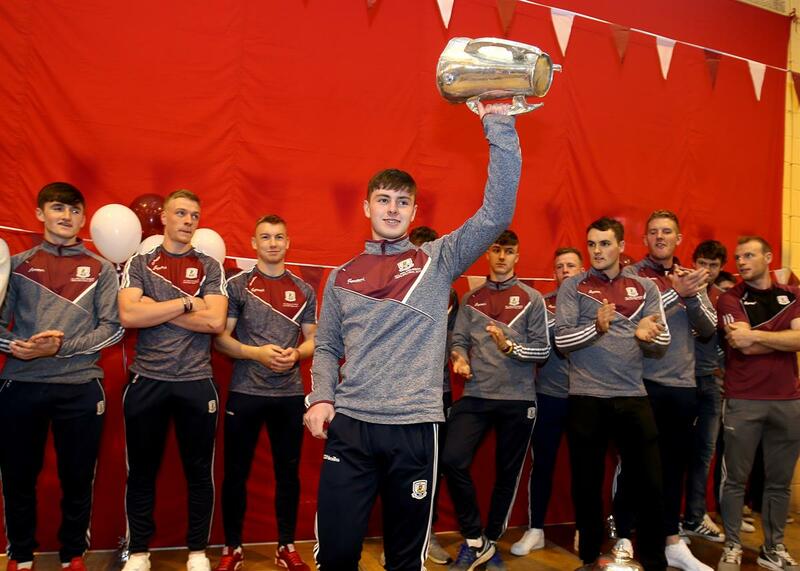 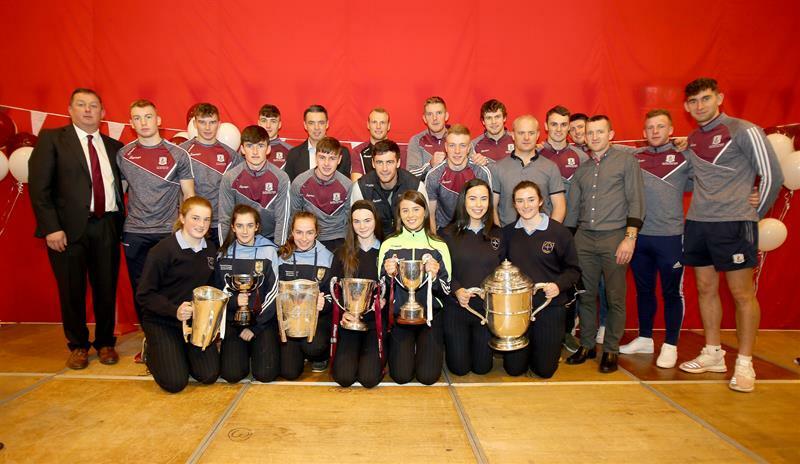 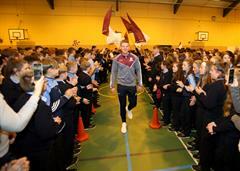 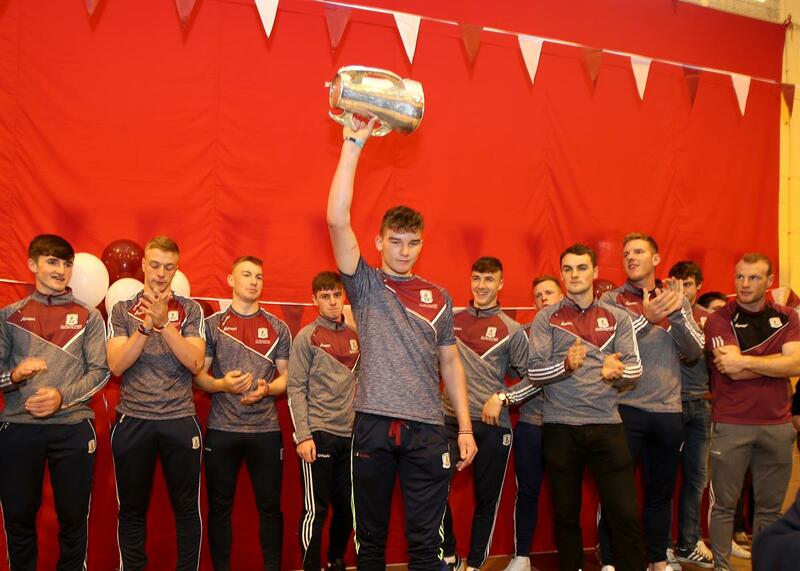 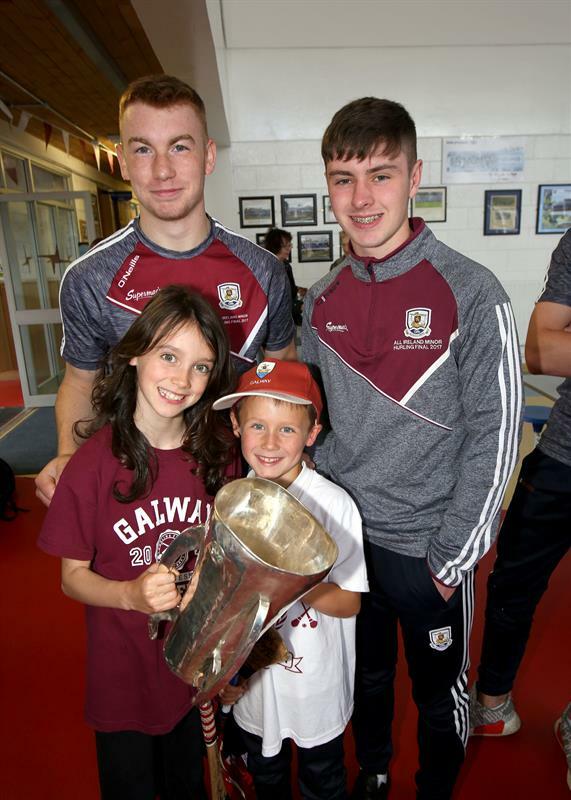 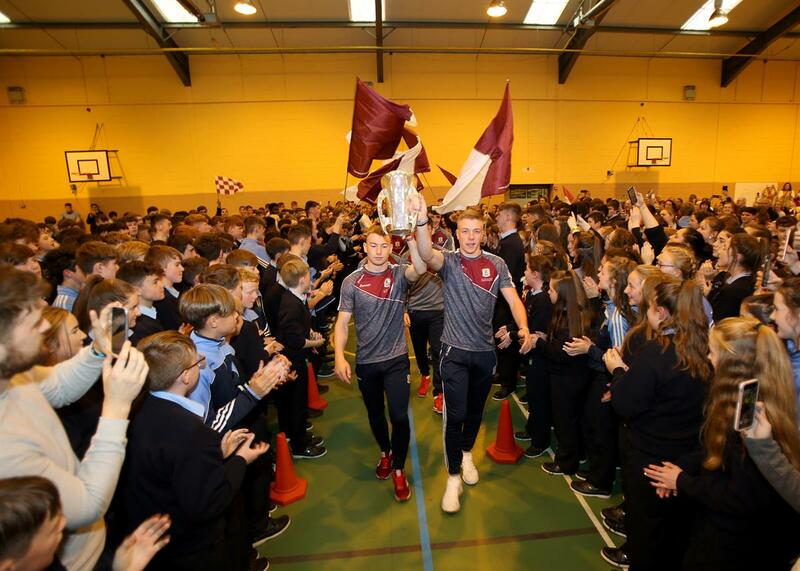 Picture below are past and present students from St Brigid’s College Loughrea who were members of the All Ireland winning Galway Senior and Minor Hurling teams and management plus students who were members of the All Ireland winning Galway Camogie Minor and U16 teams on their homecoming visit to the school last Friday. 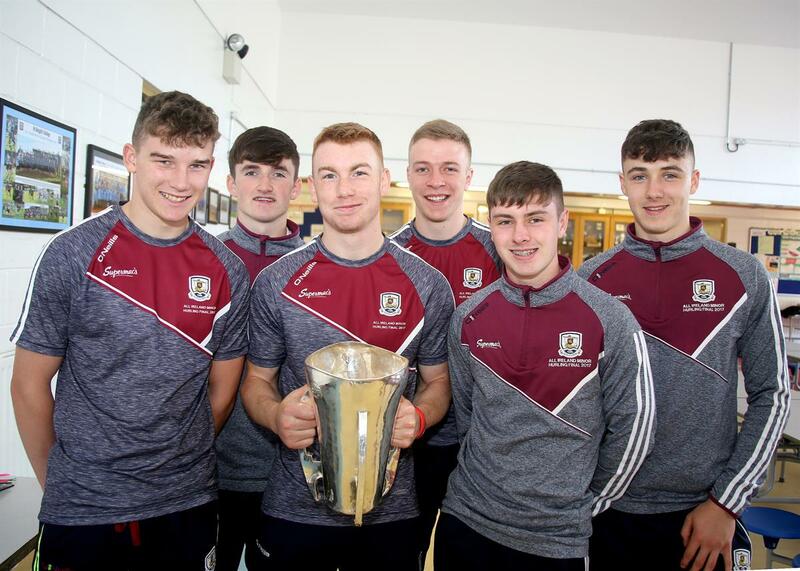 Back Row: L to R: Sean Connolly(Principal), Donal Mannion, Dylan Shaughnessy, Brendan Lynch, Jeffery Lynskey,Cyril Donnellan, James Skehill, Joseph Cooney,Johnny Coen, Eanna Burke, Davy Glennon, Jason Flynn. 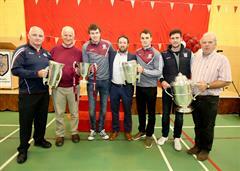 Middle Row: L to R: Ben Moran, Conor Molloy, David Burke, Ronan Glennon, Michael Donoghue, Francis Forde. 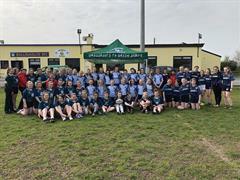 Front Row: L to R: Joanne Daly, Tegan Canning, Aoife Brennan, Claire Blake, Caoimhe Garvey, Shannen Ridge and Sarah Healy. 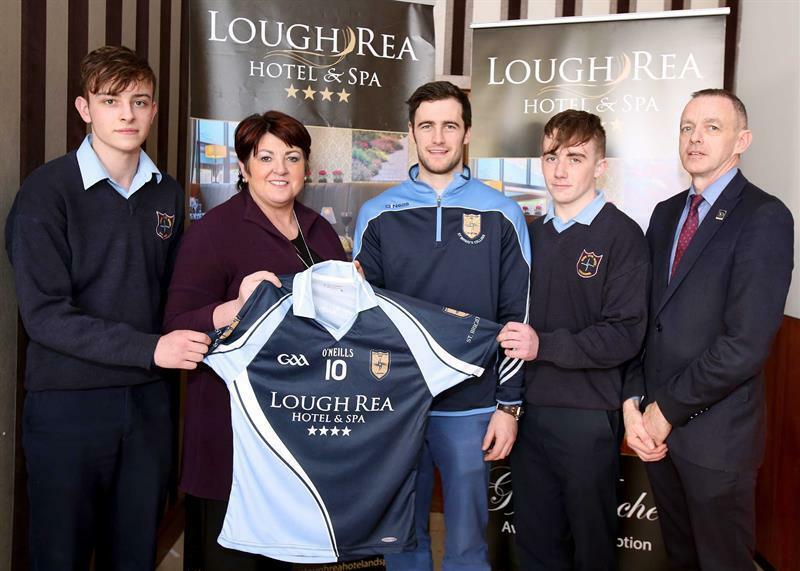 Pictured above is Stephen Molloy (Student, St. Brigid's College), Mrs. Una McDonagh (Lough Rea Hotel & Spa), Mr. David Burke (Teacher & Hurling Manager, St. Brigid's College), Colin Curley (Student, St. Brigid's College) & Mr. Martin Kilkelly (Lough Rea Hotel & Spa). 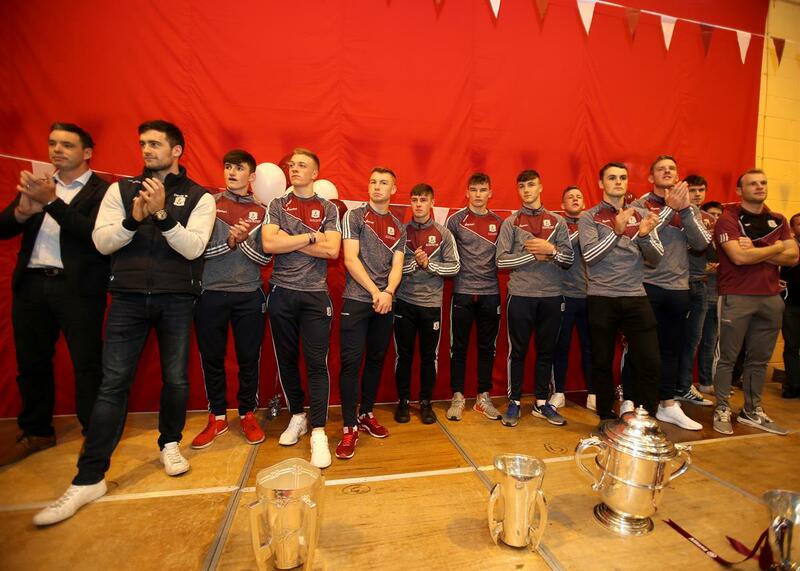 Back row: L to R: David Monaghan,Edward Kiely, Conor Flanagan, Conor Dempsey, Jason Niland, Gary Connolly, Sean Callanan, Anthony Burns, Ben Burke, Ben Moran, Eoin Gaffney, Conor Delaney, Karl Daniels, Conor Haverty ,Cathal Watkins, Vinny Kenny, Dara Cormician, Cian Mahoney, David Burke and Martin Raftery. 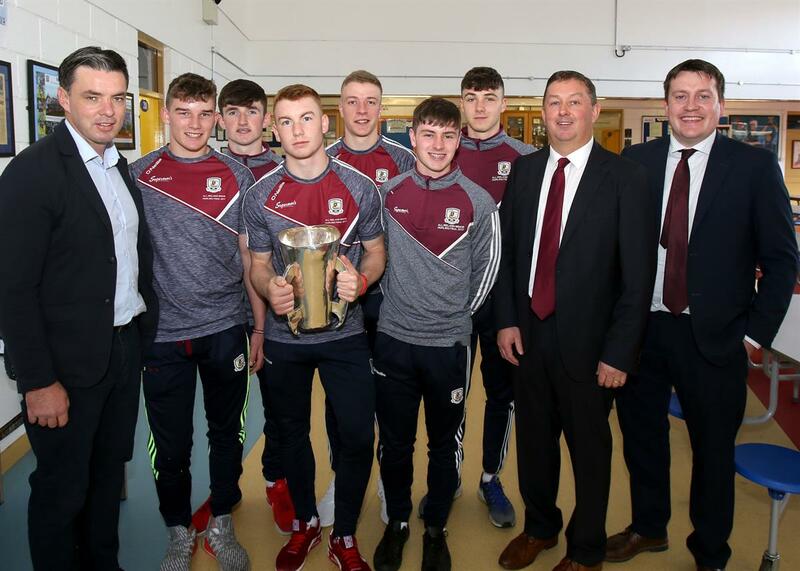 Pictured above are students of St Brigid’s Loughrea ,with their members of the teaching staff on a recent visit to the school following their All Ireland minor hurling victory over Tipperary last week. 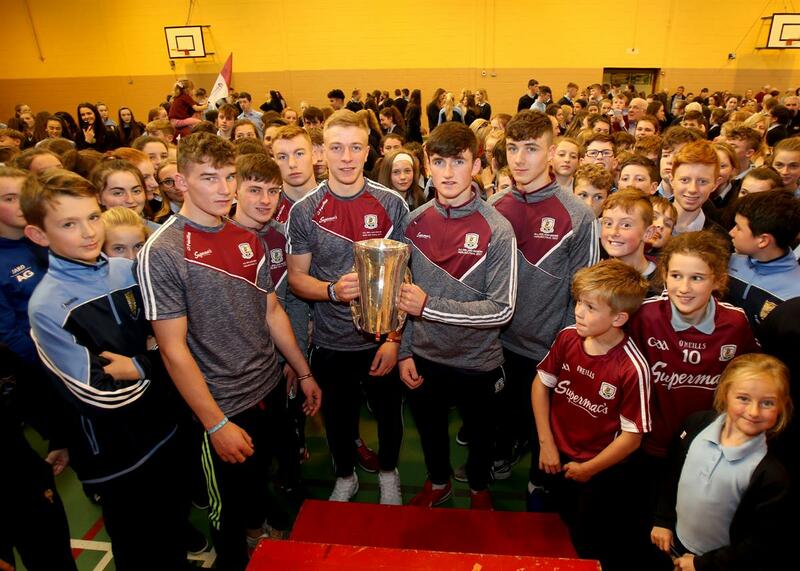 Front row: L to R: Jack Kenny, Dean Earls, Darragh Gilligan, Fintan Burke. 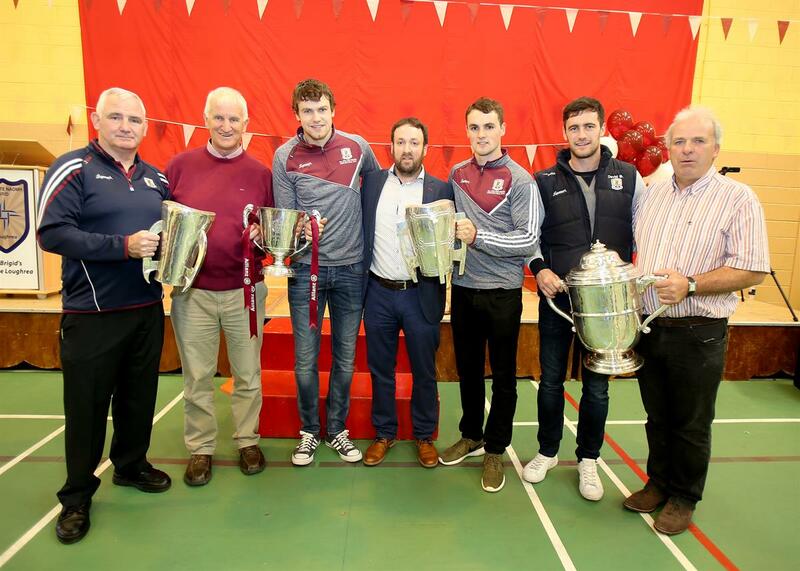 Back row: L to R: David Burke, Sean Connolly(Principal), Martin Raftery, Shane O Brien, Ciaran Connor, Michael Lynch, Jeffery Lynskey(Manager),Niall Canavan and Johnny Coen.